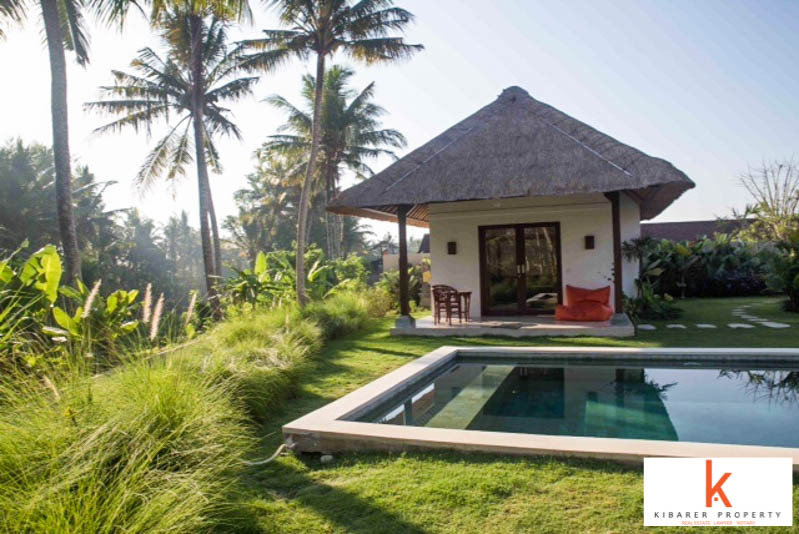 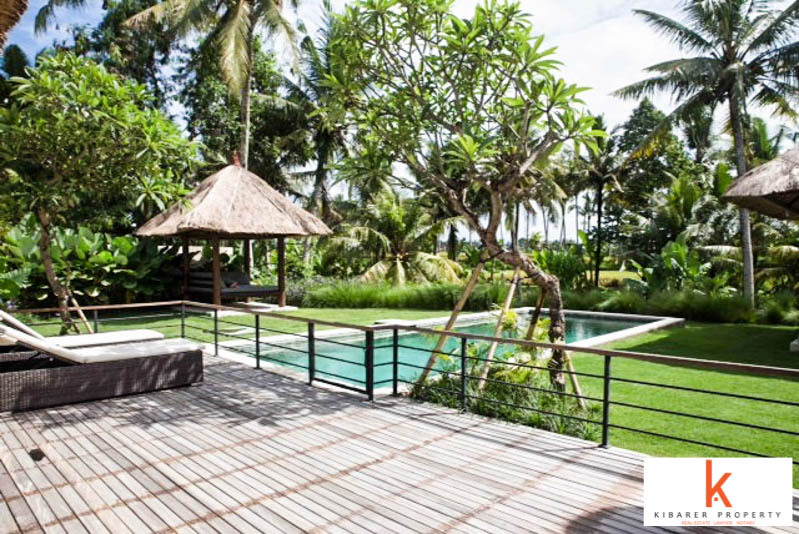 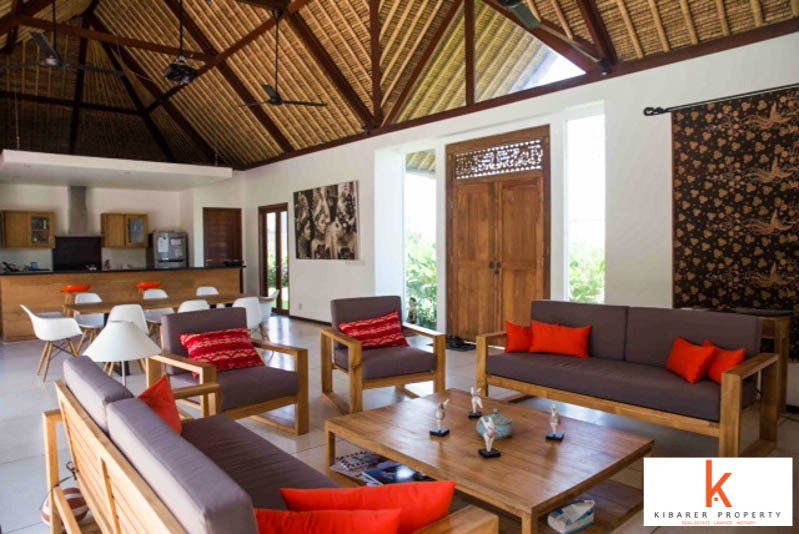 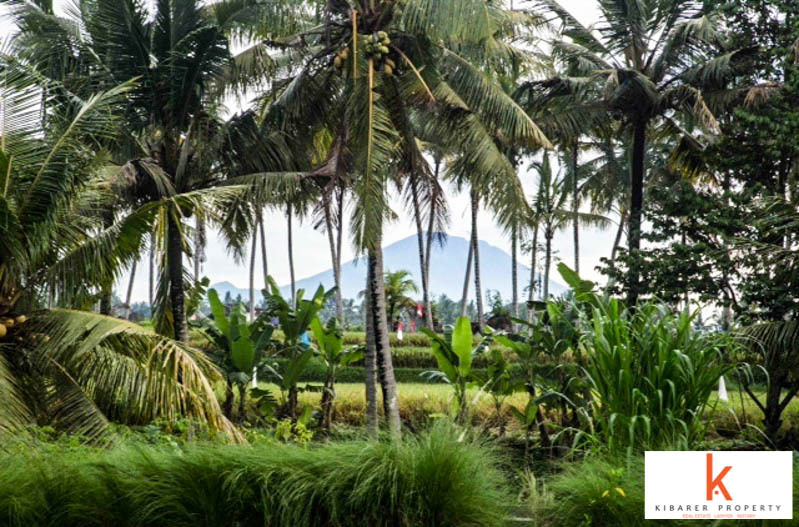 This gorgeous real estate is located in the beautiful lush green neighborhood of Ubud. 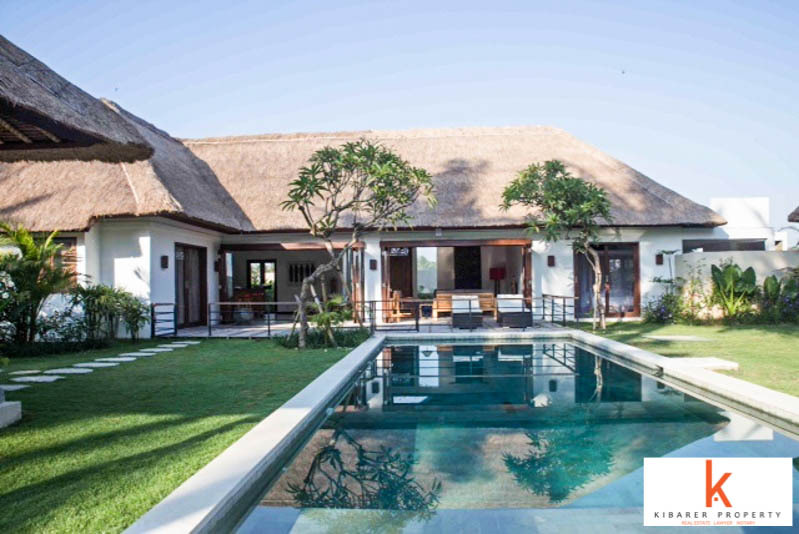 Featuring 3 stunningly cozy spacious en-suite bedrooms and bathrooms, this villa has been built with great attention to the details, finest quality materials, high standards of luxury and comfort. 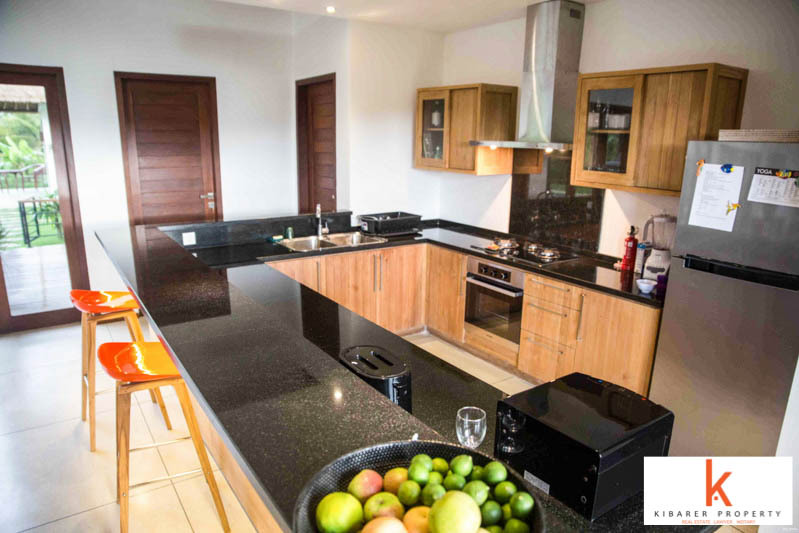 Great bathrooms, fully furnished with exquisite taste. 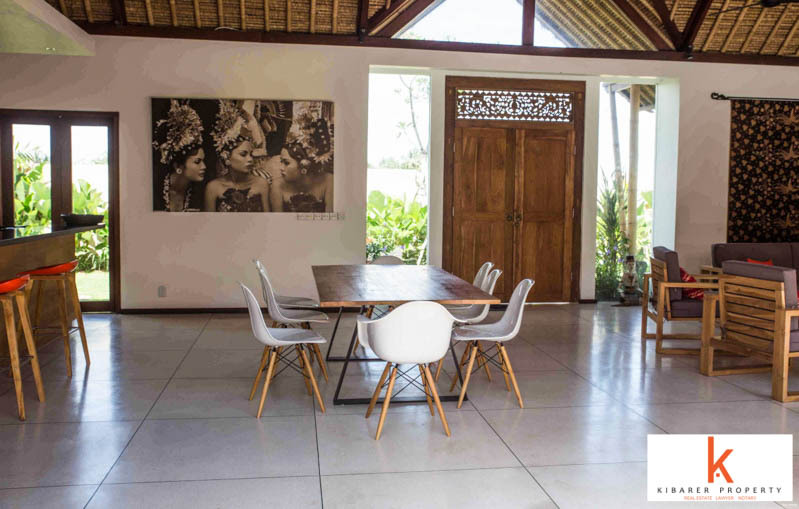 This property generously features a big swimming pool, artistic furniture, big manicured lawn with tropical plants and garden, spacious living dining area, modern kitchen, great views of the surrounding with a beautiful volcano in sight and a private parking space. 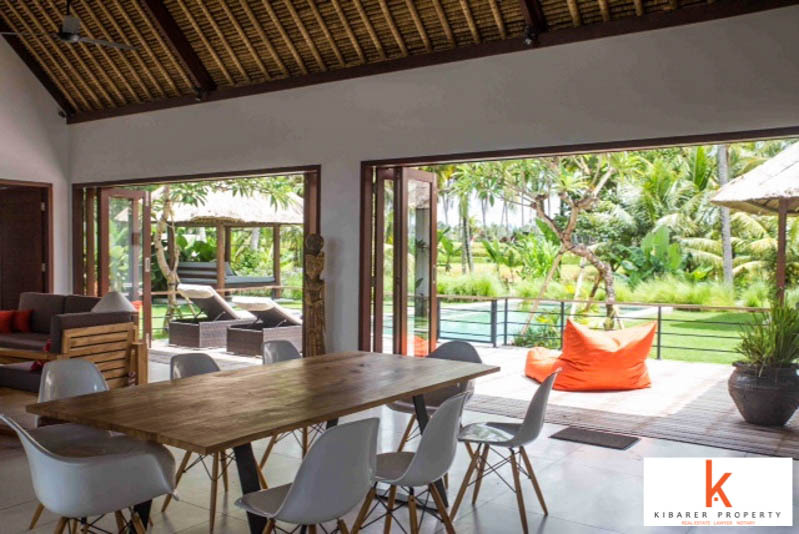 This great house is available for sale in Bali, buy it use it as a personal vacation home. 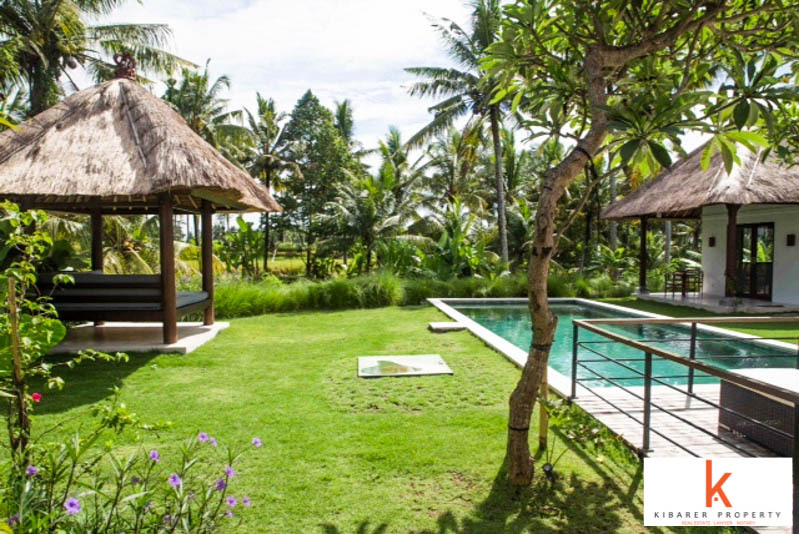 Close to beach and the market with 29 years availability of leasehold.